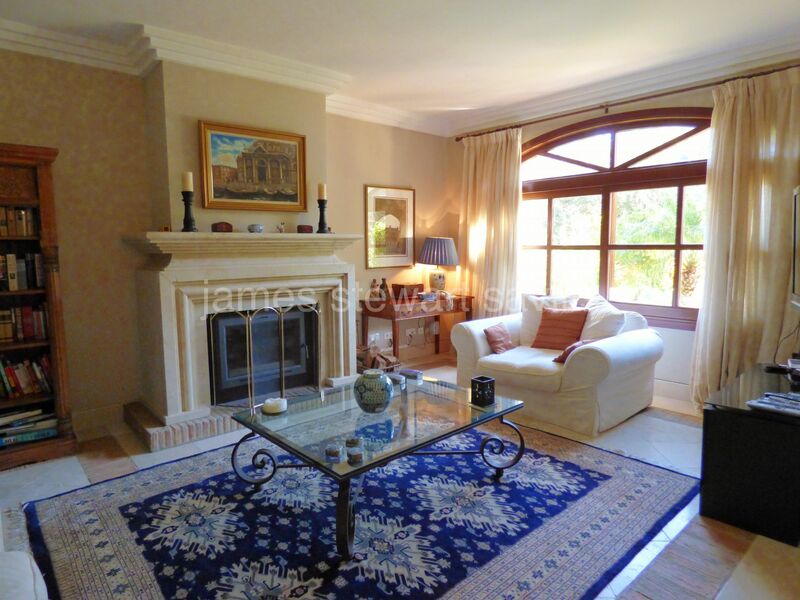 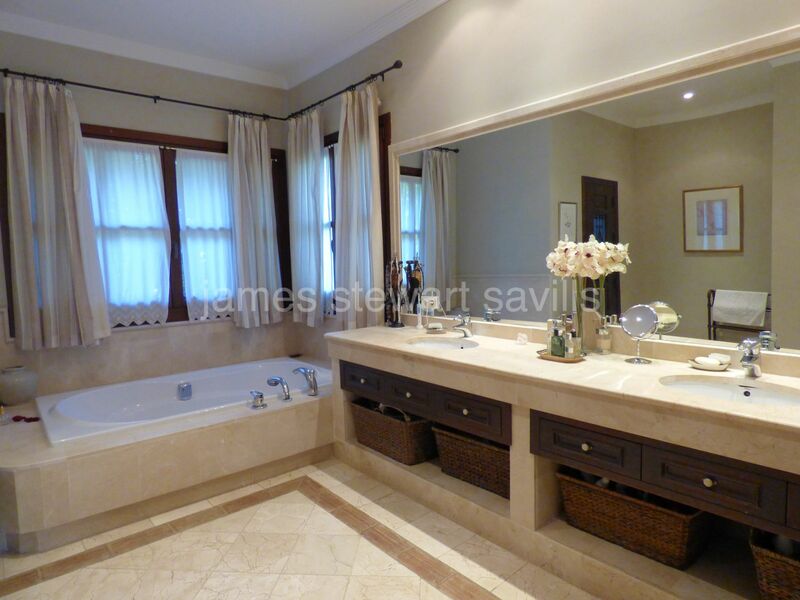 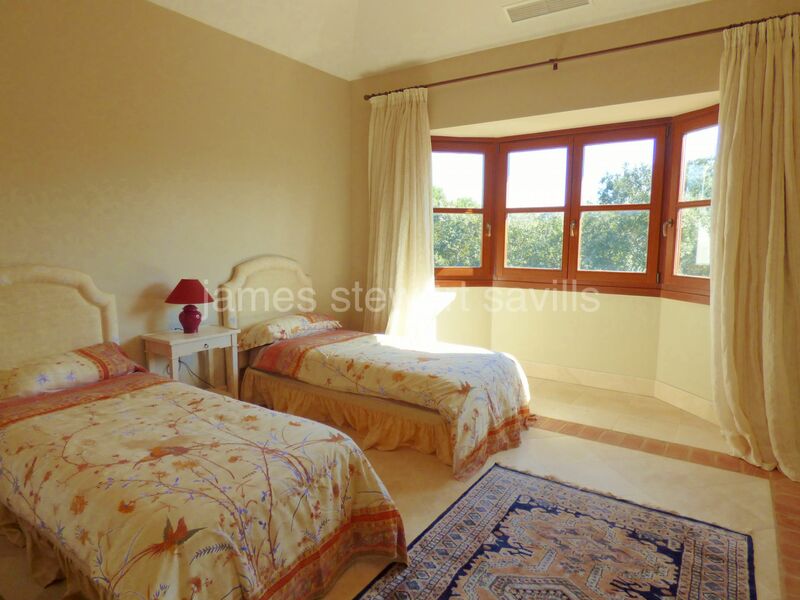 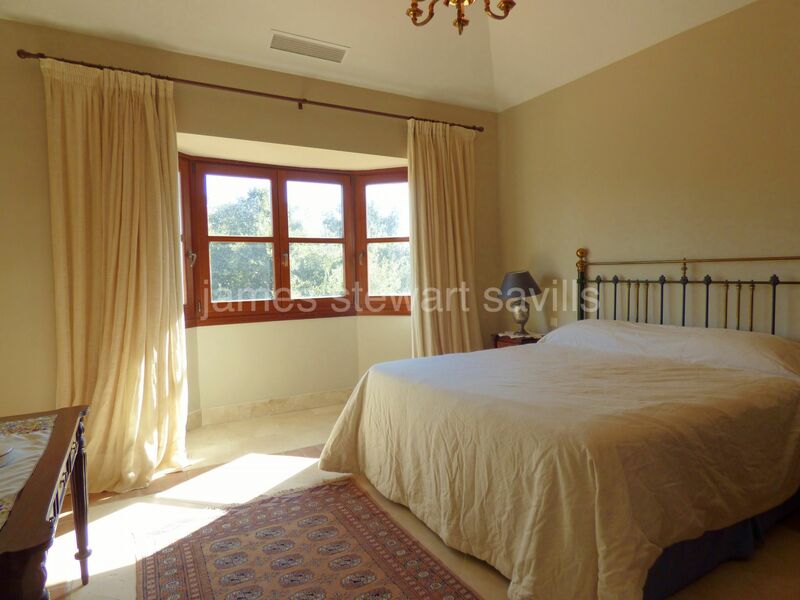 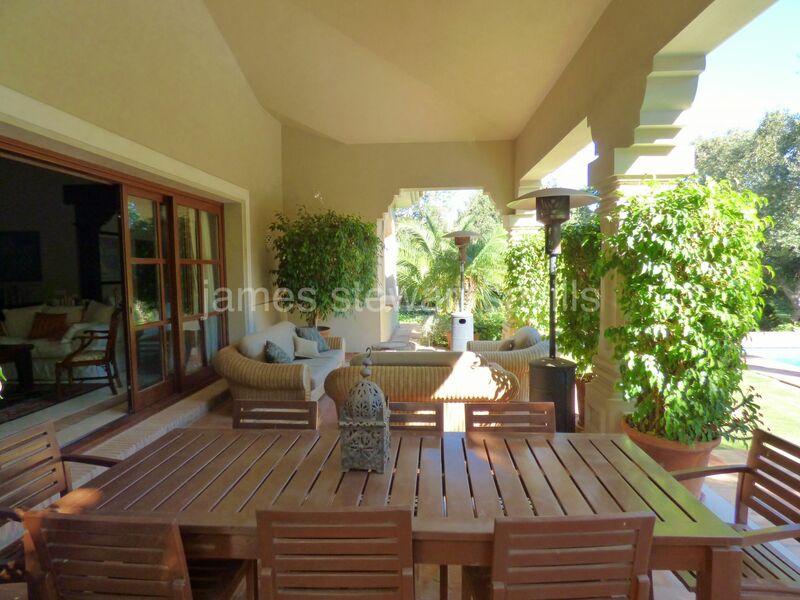 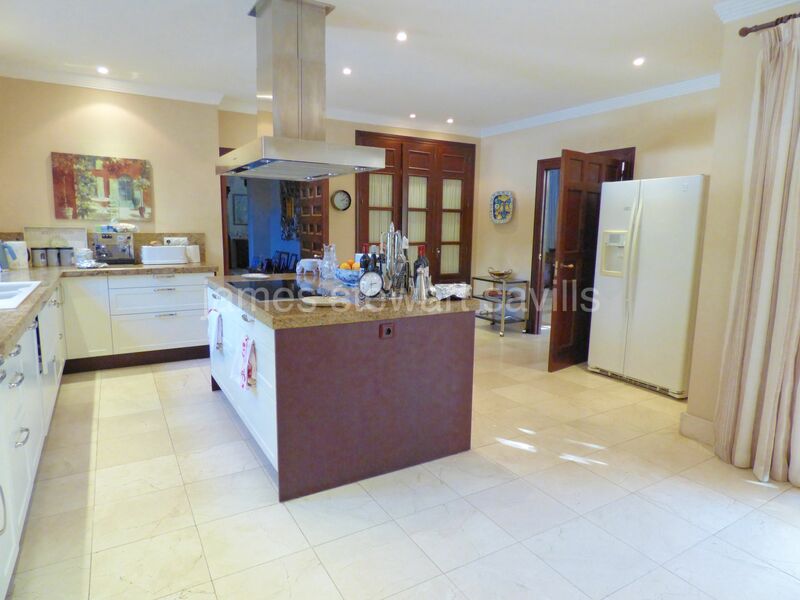 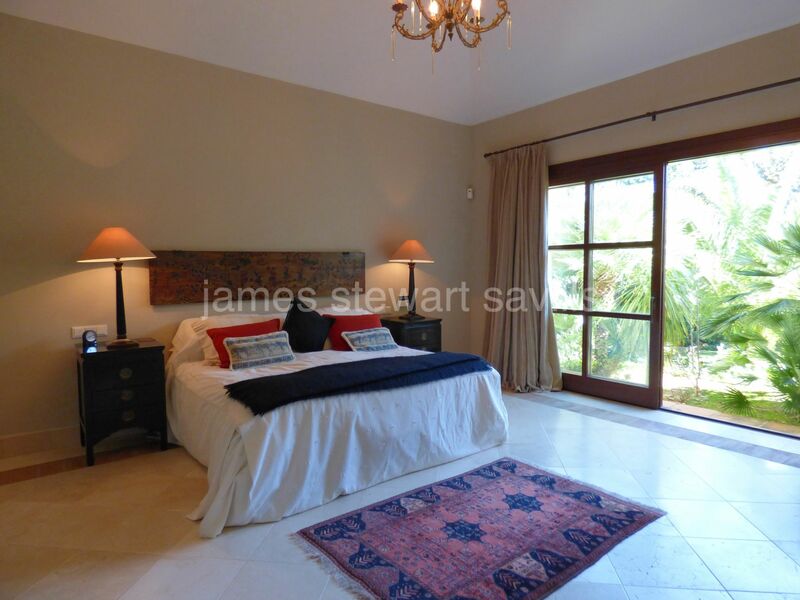 Excellent villa built on 3 floors on a beautiful mature plot with stream, discreetly located via a private long driveway. 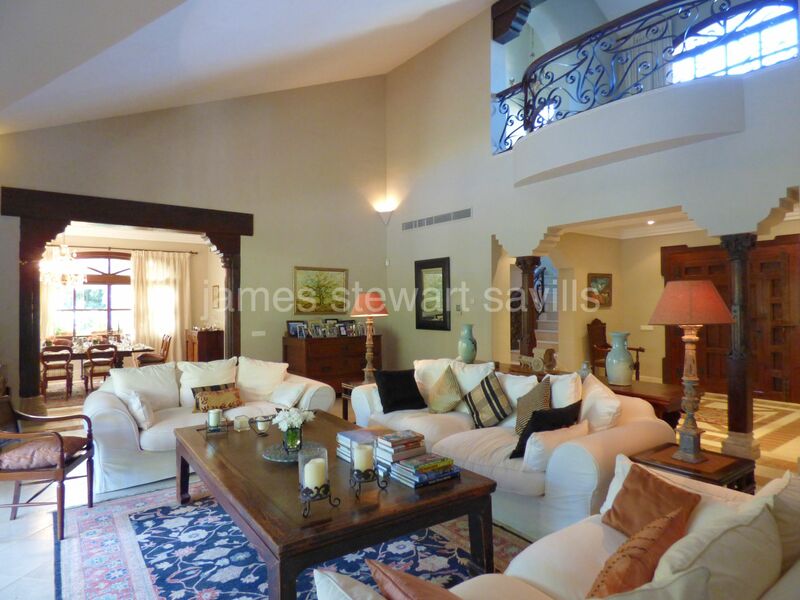 The villa consists of, on the entrance level, a very nice entrance hall which leads into a double height living room with upper gallery, TV room, dining room next to the fully fitted kitchen, staff bedroom suite, study and large master suite with dressing area. 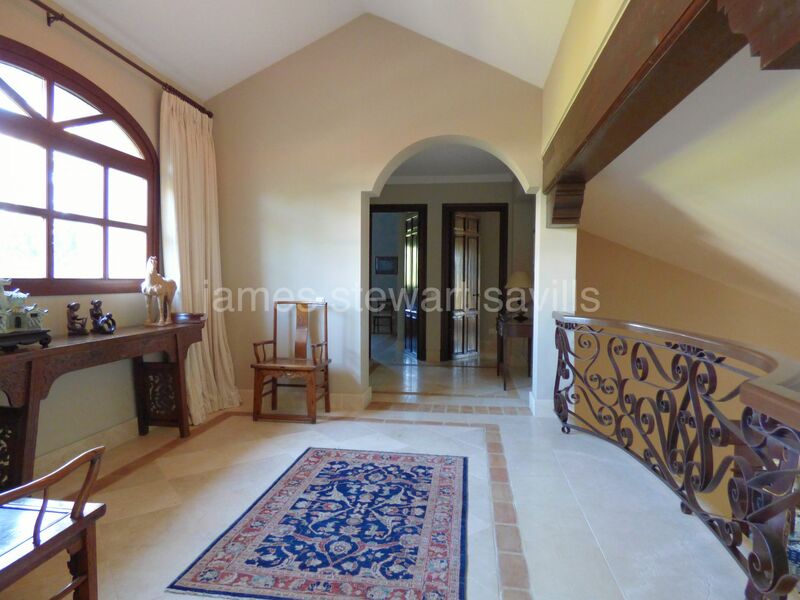 Upstairs there are 3 en-suite bedrooms and the upper gallery area. 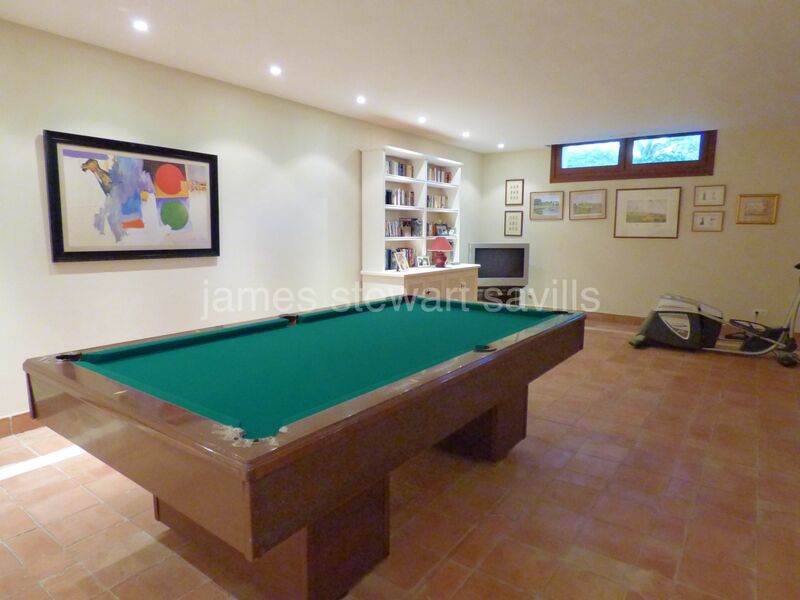 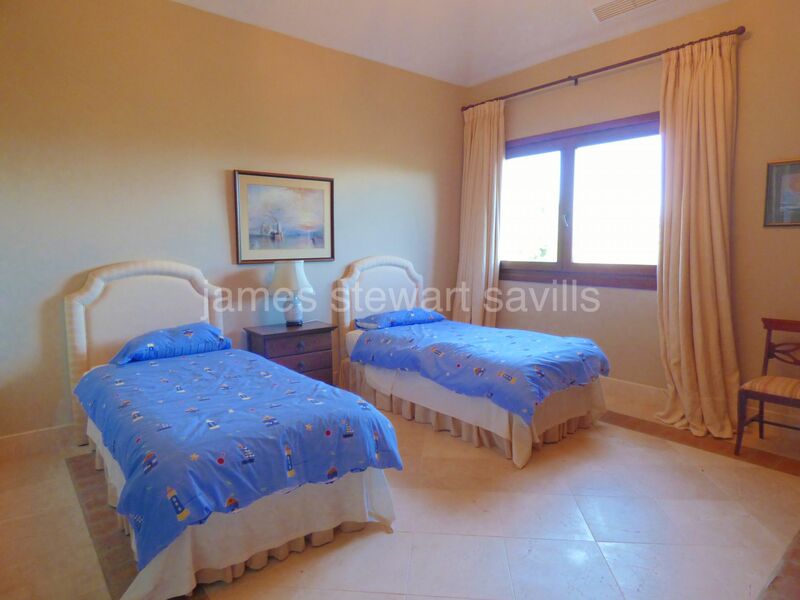 In the basement, a very spacious games room/cinema, bodega/wine cellar and extremely large garage (7 cars). 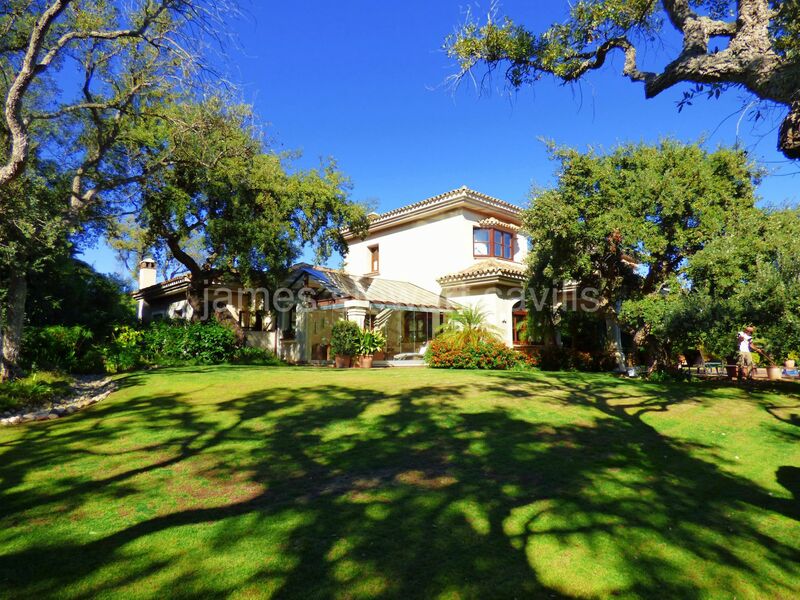 The garden is fabulousy lush and extremely private. 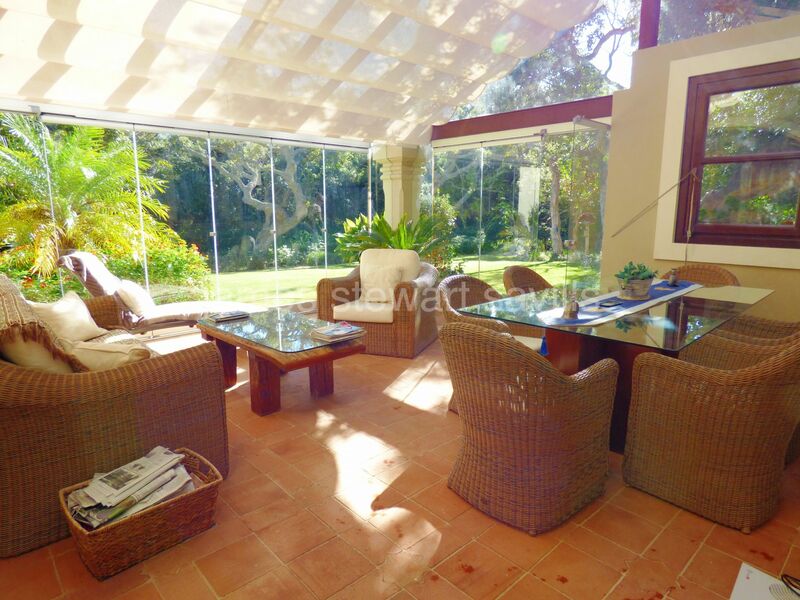 There is a covered terrace off the living room overlooking the swimming pool and a conservatory next to the kitchen which makes a lovely sunny winter family area. 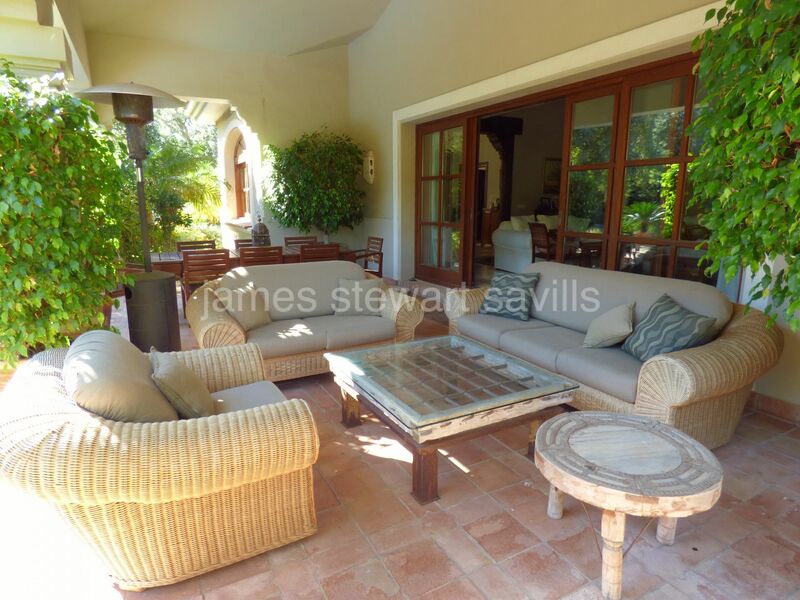 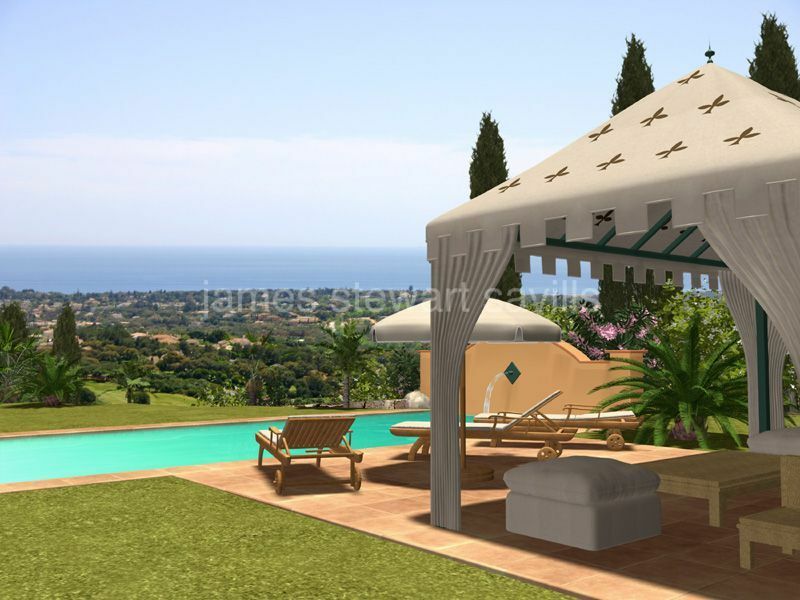 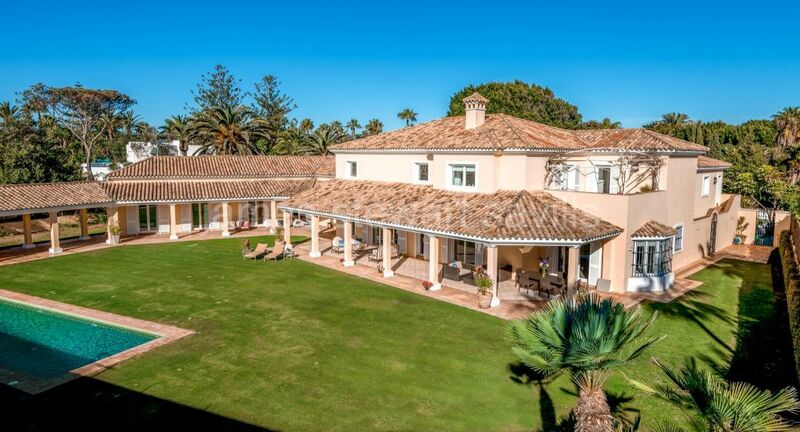 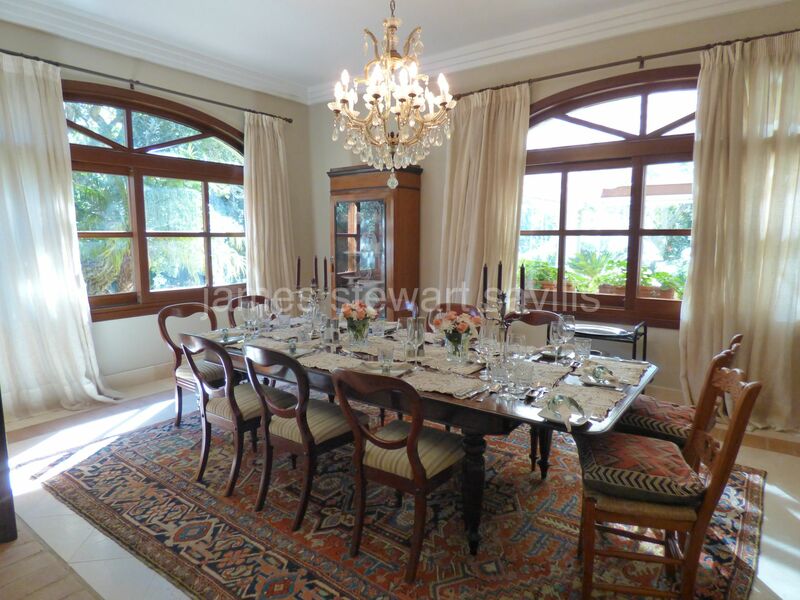 It is a characterful villa with beautiful wooden features such as antique beams and doors in a lovely tranquil location.